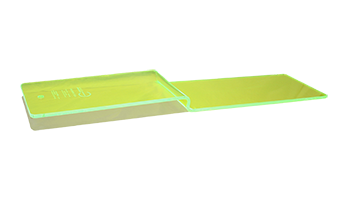 C-Thru Custom Products | Instrument Specialists Inc.
Transparent Support; that's the whole idea behind the C-Thru Armboard. 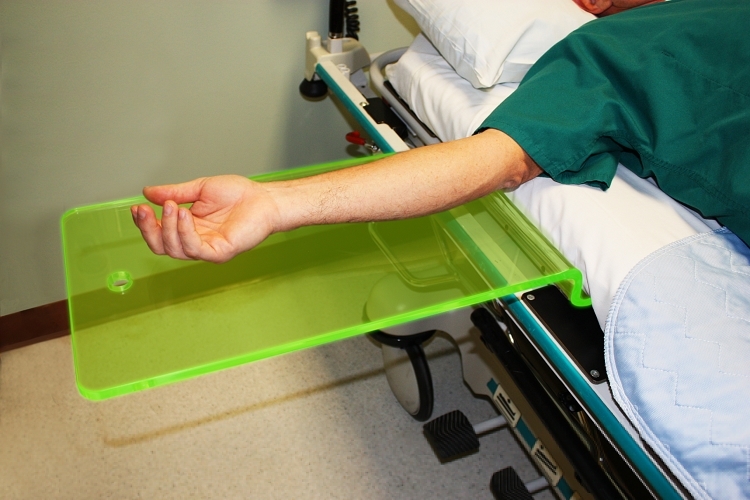 Made of bright green acrylic, the C-Thru Armboard slips under the pad of any stretcher or surgical table and is held in place by the weight of the patient. Easy access for the C-Arm, the C-Thru Armboard is entirely radiolucent, extremely sturdy and simple to clean and store. 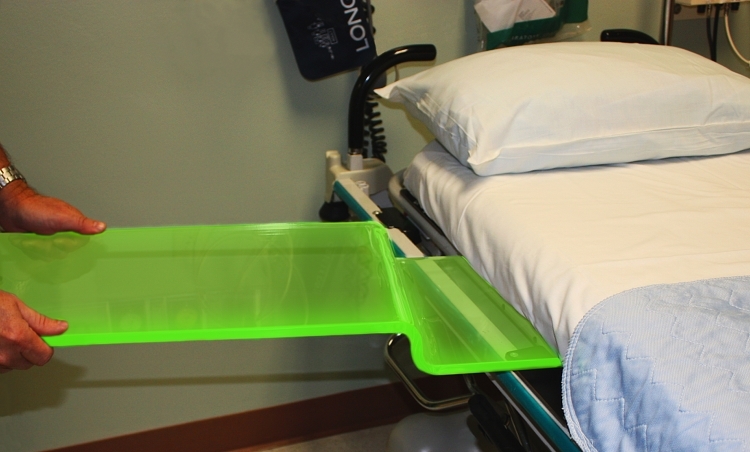 It's a bright addition to any clinical setting! Operative platform dimensions: 20" x 11" on one end and 25" x 11" on the other.